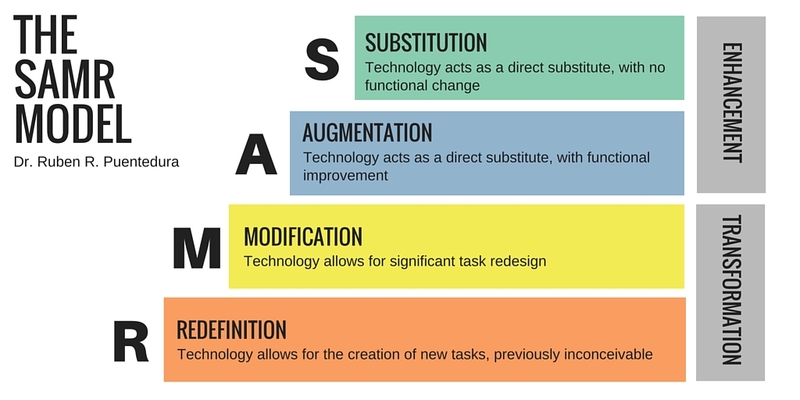 SAMR is a model designed to infuse and blend technology integration into teaching and learning. There are four levels of technology integration: Substitution (S), Augmentation (A), Modification (M), and Redefinition (R). As lessons move up the SAMR model from S to R, lessons are utilizing the technology to extend the learning in ways not possible prior to technology availability. The focus is on shifting toward student creation and a deeper understanding of the learning. The YouTube video below, SAMR in 2 minutes, shares examples of each of technology integration at the 4 levels of SAMR. Developing learners who are fluent in 21st Century skills is a district mission. CPS works to embed the 4C's: communication, collaboration, creativity, and critical thinking into our technology-infused lessons.